This column is based on remarks made by former Comptroller of the Currency Eugene Ludwig at a national symposium on moving forward in consumer credit and mortgage markets after the financial crisis hosted by the Joint Center for Housing Studies of Harvard University on February 18 and 19, 2010 at the Harvard Business School. While shock waves from the biggest financial crisis since the Great Depression continue to roll through our nation, some experts wonder how we reconcile extending credit to low- and moderate-wage borrowers, including credit-impaired borrowers, while protecting the economy and consumers. This question is occasioned, of course, by the current mortgage and consumer catastrophe we are living through, and by the hue and cry raised by those who claim the entire financial storm of the last three years was caused by the Community Reinvestment Act and, in their view, benighted programs to make credit available for the low-to-moderate borrower. History shows that lending to any consumer was viewed as an unsound—if not unsafe—banking practice until the beginning of the 20th century. Indeed, prior to that time, banks—including national banks—were actually prohibited from making mortgage loans to consumers. In the 18th century, loans were only made to the wealthiest and most powerful individuals. It was not until the 1920s that national banks entered the business of consumer lending. The move was sparked by the mayor of New York City, who asked the predecessor of Citibank to start making small loans to consumers. Loans from reputable banking institutions would provide a more acceptable way to deliver much-needed credit to strapped consumers than was at that time being provided by pawnshops. Indeed, the lore is that to get into the business of learning how to make the loans safely, Citi hired two former pawnshop operators. This seminal event by Citi is only one step along a path of the “democratization” of credit. Like all human pathways, it has neither been smooth nor straight. But along the way we have learned many lessons about how to make safe loans to poorer borrowers. These loans can relieve suffering, encourage entrepreneurship, revive neighborhoods, and foment a better future for the borrower. Whether it is the promise of homeownership, a college education, or a loan to start a new business, when made prudently and used responsibly credit put in the hands of low- and moderate-income borrowers is a powerful tool to better their lives. 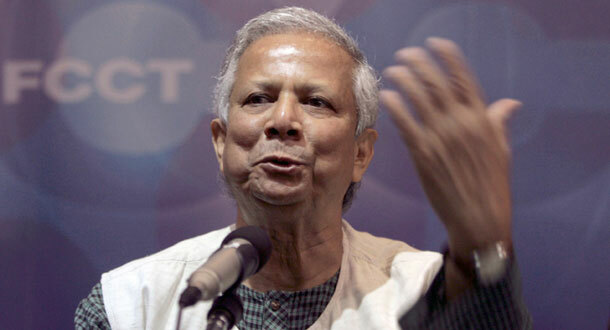 The successes that Nobel Peace Prize winner Muhammad Yunus, founder of Grameen Bank; Fazle Abed, creator of BRAC, a sprawling Bangladesh-based micro financing operation; Ingrid Munro, founder of Jamii Bora, a financing operation that works with the poor in Nairobi, Kenya, and a host of others is a testament to the virtues of this process. At the same time, just as credit can be a powerful tool for good, it can also be misused. The last 200 years in America and around the world are a testament to the boom and bust of credit cycles, most of which have nothing to do with lending to low- and moderate-income borrowers. Rather, they are proof to both the natural tendency of financial markets to swing to excess and then bust, and to the fact that innovation often produces an immediate surge where the controls come off, ending in grief. In the credit arena, low- and moderate-income borrowers are not only affected by the natural volatility of the credit markets, but are vulnerable to unscrupulous lenders. This group has been preyed upon practically since Adam and Eve. From the company store to loan sharks to pawn brokers to tin men and unprincipled merchant lenders, quick buck artists have found ways to make money by taking advantage of the poor. In this cycle, we had a combustible mixture of a governmental philosophy that allowed for negative savings, high liquidity, minimal regulation, and complex financial instruments that allowed risk to be sliced, diced, and misunderstood. To compound matters, the government maintained a view that housing prices would continue to rise and home values would fill the hole in the consumer’s badly weakened financial statements. And then there were the wolves—in this case, a combination of mortgage brokers and others—who profited from pushing exotic loans to people who could ill afford to make the monthly payments when they readjusted. We could blame the poor for this and deny them credit—some of that is going on now—but that would be a bit like blaming the sheep for the fact that wolves exist. In addition to the wolves, there were what Nicolas P. Retsinas, director of Harvard University’s Joint Center for Housing Studies, referred to in his December 21, 2009 Boston Globe op-ed as “strategic defaulters.” This “new breed of homeowner-economicus,” Retsinas wrote, “compounded the problem in the current credit cycle.” The strategic defaulters are not the low- to medium-wage earning borrowers. These defaulters are able but unwilling to pay. They would rather default on their mortgage obligations, viewing them as they would view a bad investment. 1. Creating appropriate underwriting practices tailored to the particular credit product. There is an enormous amount we have learned about lending responsibly and safely to low- and moderate-income borrowers that makes these loans a safe and sound credit practice—everything from rainy day reserves to credit counseling to lending circles to more traditional income ratios and some down payment obligations. 6. Engaging in sound macroeconomic and financial regulatory policies (so absent this past decade) to avoid credit spikes and busts that fuel unemployment and even force responsible borrowers into unemployment. In this regard, much of the lending and financial excesses in this cycle were not low- and moderate-income borrowers, but upper-middle-income borrowers who embraced sophisticated yet risky financial products. I am confident that lending to low- and moderate-income borrowers can be reconciled with sound consumer and economic practices. When done correctly, this kind of lending can be a viable business for financial institutions. What’s more, its benefits are sweeping and tangible, with the results clearly seen within households, neighborhoods, cities, and states throughout the country. Eugene Ludwig served for five years as comptroller of the currency of the United States from 1993 to 1998, heading up the Office of the Comptroller of the Currency, the federal agency responsible for supervising the preponderance of bank assets in the United States. Most recently, he is founder and chief executive officer of Promontory Financial Group, LLC, the leading consulting firm for financial companies worldwide.